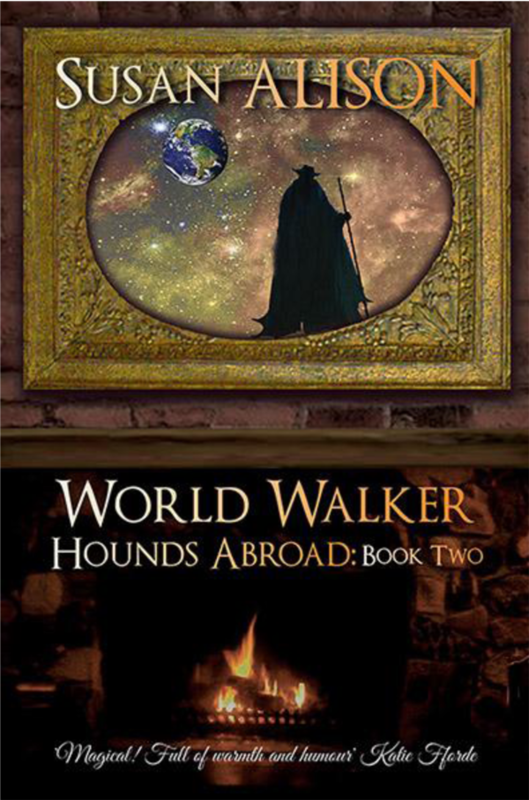 The first is that the next in my fantasy series, ‘Hounds Abroad’ ie Book Two: ‘World Walker’ is now out in ebook and paperback. Yay! Matt Lannings is desperate to keep Lily safe; he’s also on a crusade to improve the lot of mistreated dogs. The reappearance of someone he thought he’d never see again threatens to foil him. Sebastian Hounds are never desperate. They’re always laid-back, and supportive, and enthusiastic, even when their humans lead them into jeopardy. 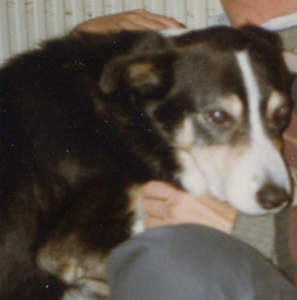 This book is dedicated to my second rescued Border Collie – Sam. He was so terrified of the world and everyone in it that when we got him home he chased up the stairs, made his home on the landing, and we only saw the tip of his nose for about six months. 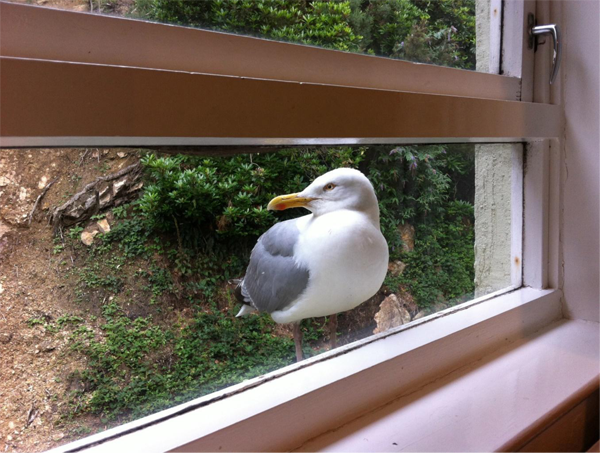 He would peer around the banisters down into the house. He would come down to go into the garden and for his meals, and as long as we pretended we couldn’t see him he was fine. Eventually, he came out of hiding and became a full and happy member of the household, but he still always disappeared back up to his landing if anyone else came in. But he was a Sebastian Hound at heart. 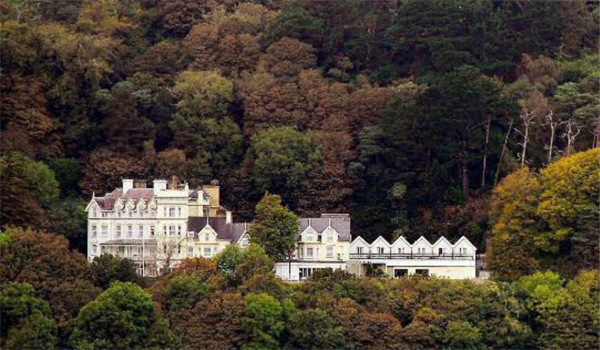 The second piece of news is that I’ve been asked to run the painting course at Writers’ Holiday, which is held at the Fishguard Bay Hotel, so I’m pretty chuffed about that. 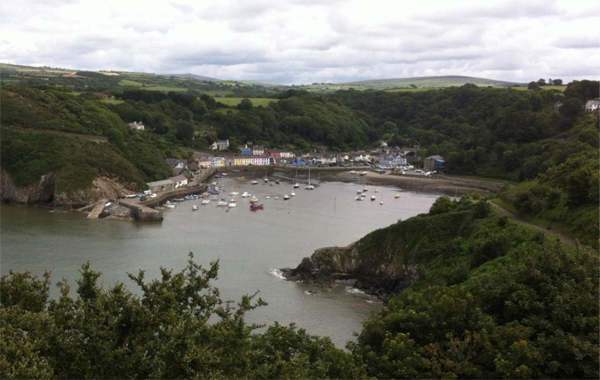 Fishguard is a lovely place – not to mention the fab hotel and yummy food! If you or anyone you know is likely to come along to it, do let me know beforehand. It would be good to meet up before July, even if only via the internet. Thank you so much for your encouragement and support! You’re all lovely! 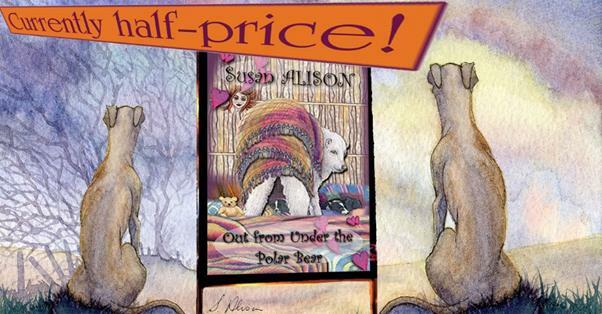 The Kindle version of ‘Out from Under the Polar Bear’ is still half price! Join Susan's mailing list to receive the latest news and updates. 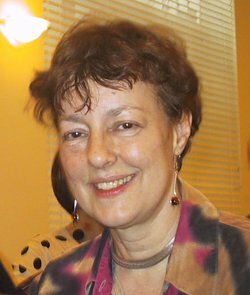 Susan Alison paints pictures and writes stories for a living, and her cafetiere is always hot. Dogs tend to enter into the pictures, and the prose, quite a lot, Susan living under the paw as she does. Monty and Rosie (and Jeff-Dog now, too) are her Border Collies - they keep an eye on her artwork to make sure she keeps earning kibble, and every now and then they round it up and post it to her artwork blog. Colouring books in A4 and pocket size are on their way. 'Corgis Rule!' is already out; the next one will be 'Carousing Cats'. There are more romantic comedies to come, and the third book in the urban fantasy series: 'Hounds Abroad'; also illustrated short stories, and doggerel, exist for your reading entertainment. If you'd like to receive an (infrequent) mailing with news of my books to arrive in the comfort of your own inbox, just use the subscribe form above.